A book is a dream that you hold in your hand. Check out all the books that have inspired us on life and career reinvention. The global bestseller Business Model Generation introduced a unique visual way to summarize and creatively brainstorm any business or product idea on a single sheet of paper. 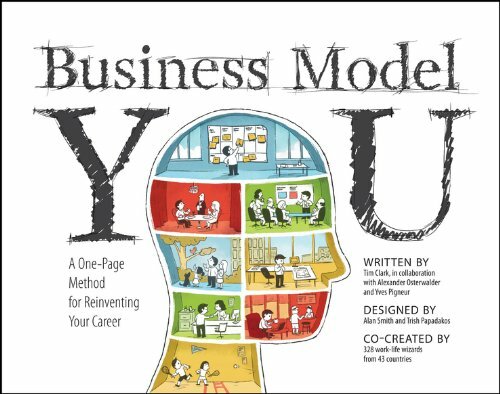 Business Model You uses the same powerful one-page tool to teach readers how to draw "personal business models," which reveal new ways their skills can be adapted to the changing needs of the marketplace to reveal new, more satisfying, career and life possibilities. Produced by the same team that created Business Model Generation, this book is based on the Business Model Canvas methodology, which has quickly emerged as the world's leading business model description and innovation technique. Life, just like a design problem, is full of constraints -- time, money, age, location, and circumstances. You can’t have everything, so you have to be creative to make what you want and what you need co-exist. 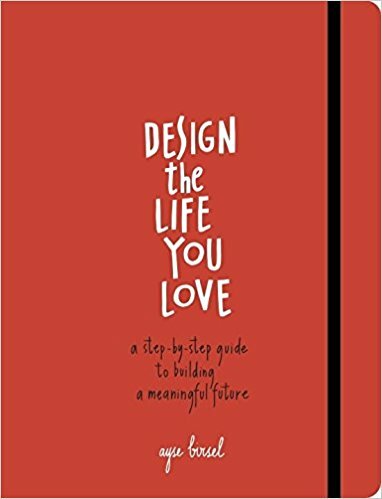 Design the Life You Love is a joyful, inspirational guide to building the life you’ve always wanted, using the principles and creative process of an award-winning product designer. Through four steps that reveal hidden skills and wisdom, anyone can design a life they love! • Explaining and re-explaining what people on your team should do? • Solving problems that others should be able to solve for themselves? • Supervising and micromanaging, rather than strategizing and leading? Business Models for Teams will help you overcome these problems. It applies the same simple visual tools that made Business Model Generation and Business Model You so popular and successful around the world. In fact, this book may be the last teamwork toolkit you will ever need! In this book, Bill Burnett and Dave Evans show us how design thinking can help us create a life that is both meaningful and fulfilling, regardless of who or where we are, what we do or have done for a living, or how young or old we are. The same design thinking responsible for amazing technology, products, and spaces can be used to design and build your career and your life, a life of fulfillment and joy, constantly creative and productive, one that always holds the possibility of surprise. Sandberg is chief operating officer of Facebook and coauthor of Option B with Adam Grant. In 2010, she gave an electrifying TED talk in which she described how women unintentionally hold themselves back in their careers. Her talk, which has been viewed more than six million times, encouraged women to “sit at the table,” seek challenges, take risks, and pursue their goals with gusto. Lean In continues that conversation, combining personal anecdotes, hard data, and compelling research to change the conversation from what women can’t do to what they can. Sandberg provides practical advice on negotiation techniques, mentorship, and building a satisfying career. She describes specific steps women can take to combine professional achievement with personal fulfillment, and demonstrates how men can benefit by supporting women both in the workplace and at home. Positive Intelligence (PQ) measures the percentage of time your mind is serving you as opposed to sabotaging you. While your IQ and EQ (emotional intelligence) contribute to your maximum potential, it is your PQ that determines how much of that potential you actually achieve. The great news is that you can improve your PQ significantly in as little as 21 days. The breakthrough tools and techniques in this book have been refined over years of coaching hundreds of CEOs and their executive teams. Shirzad tells many of their remarkable stories, showing you how you too can take concrete steps to unleash the vast, untapped powers of your mind. Improving the performance of your employees involves one of the hardest challenges in the known universe: changing the way they think. In constant demand as a coach, speaker, and consultant to companies around the world, David Rock has proven that the secret to leading people (and living and working with them) is found in the space between their ears. 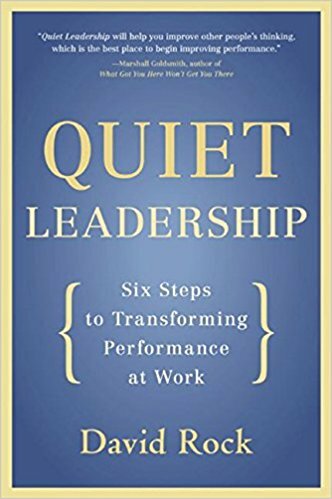 Supported by the latest groundbreaking research, Quiet Leadership provides a brain-based approach that will help busy leaders, executives, and managers improve their own and their colleagues' performance. Rock offers a practical, six-step guide to making permanent workplace performance change by unleashing higher productivity, new levels of morale, and greater job satisfaction. In Reinventing You, branding expert Dorie Clark provides a step-by-step guide to help you assess your unique strengths, develop a compelling personal brand, and ensure that others recognize the powerful contribution you can make. People like Martin Luther King Jr., Steve Jobs, and the Wright Brothers had little in common, but they all started with WHY. They realized that people won't truly buy into a product, service, movement, or idea until they understand the WHY behind it. Find questions Iris Cai walks through with clients in year-end 1:1 coaching now in a FREE ebook (valued $39)! This New Year Career Reinvention Exercise can help you reflect on the past year, set intentions for the New Year and create a vision board to help your dream become reality. Click here to download a copy. Get clarity and direction on your career now by completing a few insightful exercises. Do some pre-work so you can get the most out of the Career Reinvention Bootcamp. Download the book sample here. Read this article on how to use the Good Time Journal to decide whether you should leave your job. Join the over 5 million people who have learned to improve their quality of life with the only free, scientific survey on character strengths. Career reinvention starts from understanding your unique talents. This test would not only reveal your top strengths among the 34 CliftonStrengths themes, but also help you discover how to build better relationships, have powerful and constructive career conversations with your manager and identify the right roles that fit your talents. Saboteur Assessment - Free. 15 minutes. Saboteurs are your invisible agents of self-sabotage. They represent your brain's automatic mental habits with limiting beliefs. Your Saboteurs cause all your stress, unhappiness and negative feelings. Visit www.PositiveIntelligence.com to learn more about what different Saboteurs mean and complete this assessment for free. Enneagram - Free. 15 minutes. The Enneagram is a personality typing system that consists of nine different types. Everyone is considered to be one single type, although one can have traits belonging to other ones. Read more. If more individual attention is what you want, you may want to start with 1:1 coaching with one of our experienced coaches. TAKE CONTROL OF YOUR CAREER NOW. Sign up for the next Career Reinvention Bootcamp in Vancouver on Mar 23, 2019. Get your early bird tickets by Feb 28, 2018 for as low as $139. Drop us a line or book a free chat here. Discover your career purpose and motivation. Build a career that maximizes your potential. the next Career Reinvention Bootcamp! We don’t spam!